This class can auto-complete words entered with a Swype keyboard. 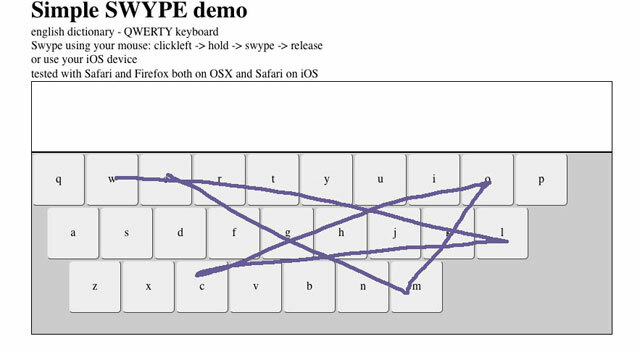 It can take the letters of a word entered in a Swype keyboard and lookup a dictionary file to deduce the words that may complete what the user entered. Number 4 Swype is a special type of input method that can be used in Android based phone devices. It works by letting the users enter words faster by dragging their fingers in the device touch display without having to lift the fingers until they are done. This class can assist in the process of completing the text entered in a Web page displayed on a phone using a Swype input method.